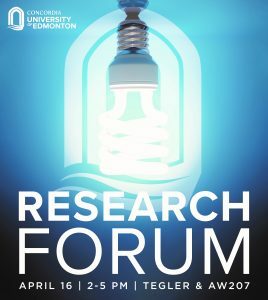 For the 4th Annual CUE Research Forum, we will hold a Poster Competition. Poster presentations will be judged by a panel of members of the CUE and winners will be invited to present their posters at the Design Thinking Space. The Academic Community at CUE is proud to show its support for our students. 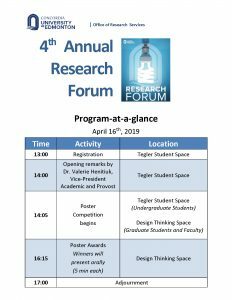 Undergraduate Student presentations will take place in the Tegler Student Space, while Graduate Student and Faculty Member presentations, will be held at the Design Thinking Space, located in the second floor of the Allan Wachowich Centre. The 2019 Welcome Program and Abstract Book are now available online in our website.